Hal rounds up the travel web’s airport chatter from the past few months. IT DIDN’T TAKE me long as a kid to figure out that not all airports were created equal. Even quick transits through DFW and IAH showed just how dinky my home airport of San Antonio was. From what I’ve heard on planes and in airports around the world lately, customer satisfaction with air travel is in the red. And week-long volcanic eruptions don’t help. 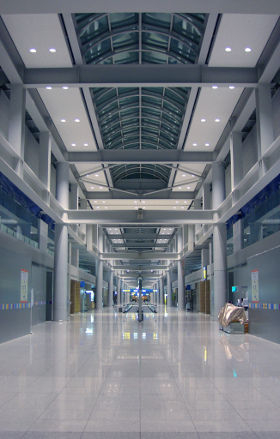 The New York Times’ In Transit blog reported last month that, according to the 2010 Skytrax World Airport Awards, most of the world’s highest-rated airports are in Asia. 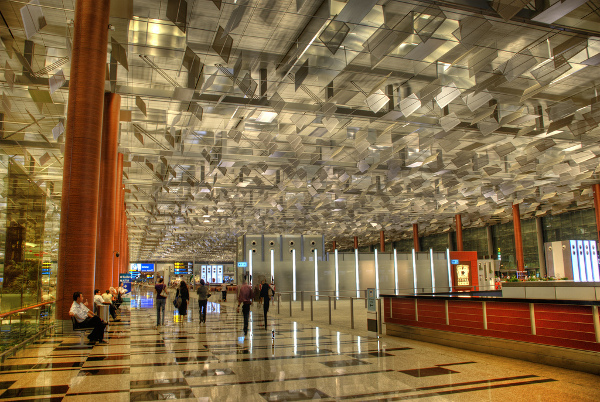 Singapore’s Changi took top honors, followed by Incheon — Seoul’s main hub — and Hong Kong. I can vouch for all of these: in terms of design, service, and high-tech amenities, these facilities are in a different category than anywhere else I’ve laid over. 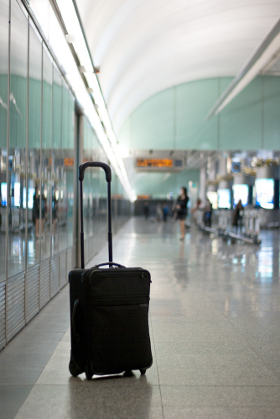 Munich, Zurich, and Amsterdam are the only airports west of Bangkok to make the top 10. Continuing with the survey above, the hands-down worst airport in the U.S. is Newark, which scored poorly in everything from check-in time to parking. I half wonder if any of that has more to do with the reputation of Newark in general than the airport itself. I’ve never had a bad experience at EWR, and I kinda like the smog-filtered view of the Manhattan skyline in the distance. My mom would disagree, though. She was stuck in Newark on a flight delay last night, for the second time in a row. Chicago’s international terminal is sadly ill-equipped to handle the volume of passengers it sees. I had a 6-hour layover there earlier this month after flying in from Madrid — half that time was spent standing in the immigration line and navigating to baggage claim. And then there are the low-blow lists, picking on airport aesthetics that may have fallen a little out of date. TheExpeditioner.com looks at a Travel+Leisure article that does just that. The list includes big names like JFK, Charles de Gaulle, and Heathrow Terminal 3, but also lightweights that you’ll probably never see: El Paso (Texas), Nassau (Bahamas), and Sofia (Bulgaria). That’s mean. Ahh, so that’s why I’ve had the pleasure of sleeping on the floor at Hartsfield-Jackson. Okay, readers, you know what I want to hear. Where did these rankings go wrong? What did they leave out? 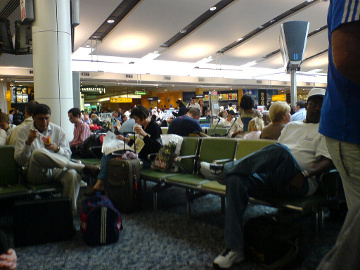 Which airports make YOUR list of best, worst, ugliest, busiest, or whatever other measure? Share all in the comments. There’s a reason airport talk resonates so deeply. 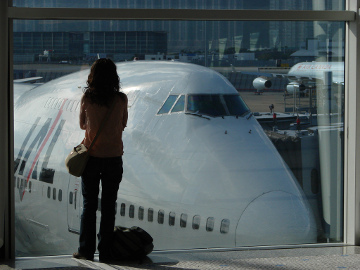 Read about it in Now Boarding: Why the Airport is a Metaphor for Life.